Usually found around wrecks, reefs, rocks and pilings. Found year-round near the Chesapeake Bay’s mouth and may be found as far north as the Chester River. 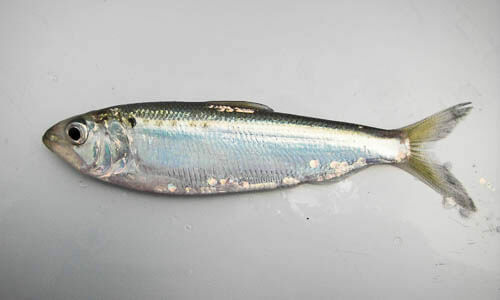 Common in parts of the lower Bay from autumn through spring, and moves offshore in summer. The tautog is a stout, mottled fish with a thick tail and strong teeth. It can be found year-round around wrecks, reefs and pilings near the mouth of the Chesapeake Bay. The tautog has a stout, rounded body that varies in color from brown to grayish or black with irregular bars or blotches on the sides. It has a blunt head with greenish eyes, thick lips and strong teeth. Females and small males have a black chin, but some larger males have a white chin. Its long dorsal fin has about 16 spines, and its tail fin is thick and squared. The tautog grows to about 12 inches in length. The tautog only feeds during the day, eating clams, crabs, mussels, barnacles and other shellfish. It uses its powerful teeth to crush its prey’s shells. 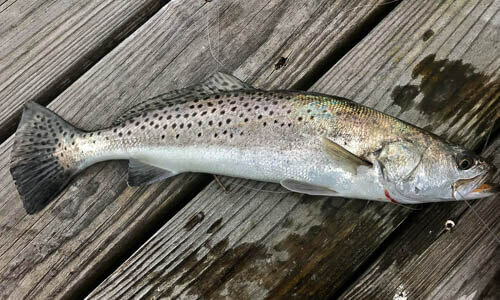 Spawning occurs from late April-early August in the lower Bay and offshore. The female lays about 200,000 eggs. After hatching, bright green tautog larvae drift for about three weeks before settling in shallow bay grass beds. 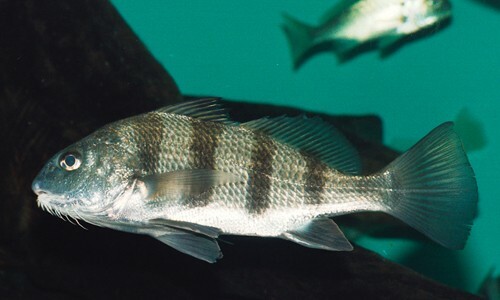 In about 3 years, tautogs become sexually mature and lose their bright green coloring. Tautogs can live 34 years. Tautogs are also known as blackfish in northern bays, where they are much more abundant. When they are not feeding, tautogs are known to find a hole and lie motionless on their side. The fish are so inactive at night that sport divers have been able to catch them by hand. The Maryland Chesapeake Bay record tautog, which was caught in October 2005 off Point Lookout, was 25 inches long and weighed 9 pounds.